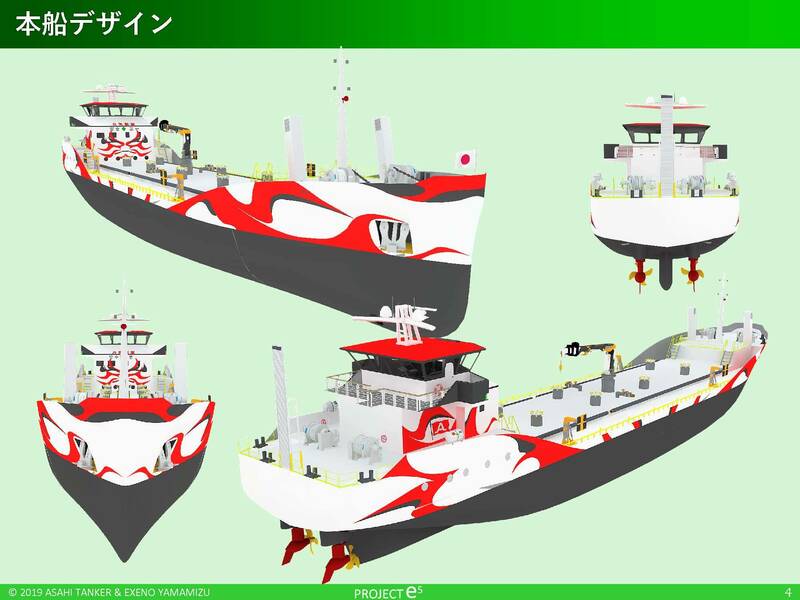 Image: Copyright Asahi Tanker Co. Ltd. &amp; Exeno-Yamamizu Corp. Image: Copyright Asahi Tanker Co. Ltd. & Exeno-Yamamizu Corp. Dubbed e5, the first variant is envisaged as a bunker supply vessel serving Tokyo Bay. 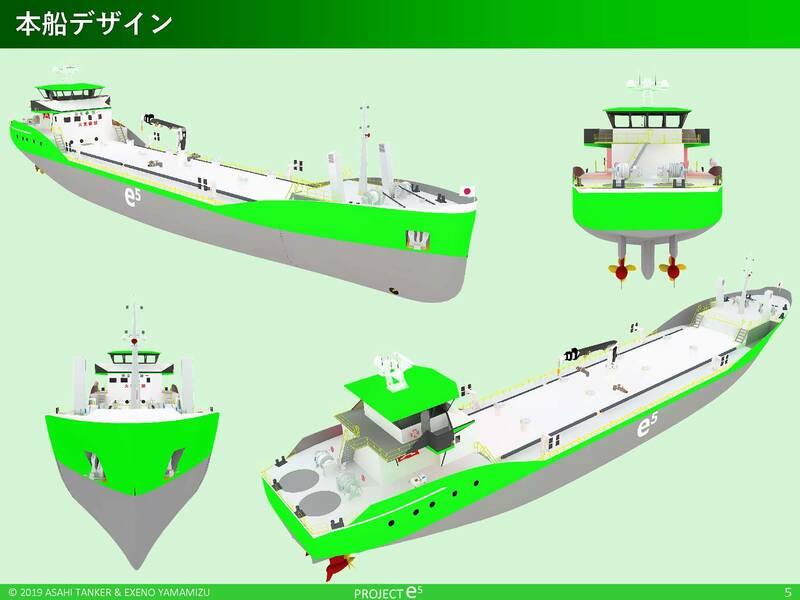 Unlike many other concept designs, the e5 Pure Electric Tanker concept is on track to become a reality in a relatively short time, with the first vessel launch anticipated in Q4 2020. Simultaneously work is underway on an e5 coastal variant with a longer cruising range. 1. Electrification: The ships core energy source via lithiumion batteries. 2. Environment: Emission (CO2, NOx, Sox) controls together with minimizing noise and vibration. 3. Economics: Utilizing IoT and Digital tools to improve propulsion performance. 4. 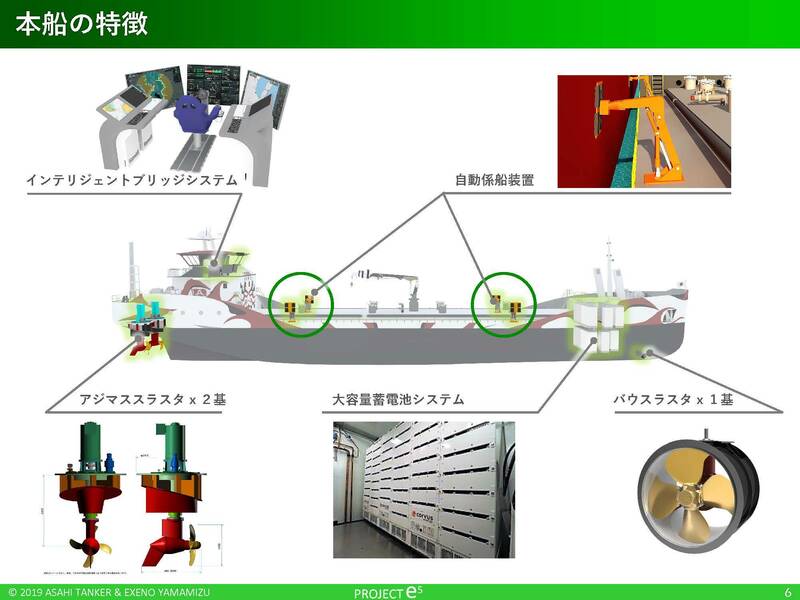 Efficiency: Simple hull construction combined with automated equipment. 5. Evolution: Fully embracing digitalization and technological advances to create the most advanced design concept. Cargo tank capacity: Approximately 1,300 cu. m.